So you just finished your shiny new business website. What now? If you’ve done your keyword research and designed a mobile-friendly site with high-quality content, it’s time for web analytics 101. Tracking website traffic and other statistics tracking may not sound appealing, but it’s crucial for measuring value. Your online business efforts must have quantifiable ROI. 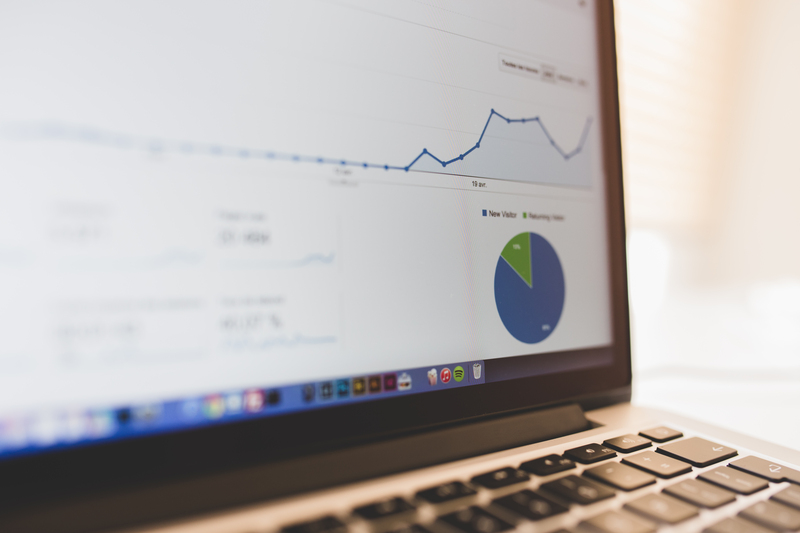 Your digital marketing strategy should be data-driven. For success on the Internet-based modern marketplace, your web analytics need to be accurate and insightful. Understanding web analytics may seem like a monumental, unpleasant task. All the numbers, graphs, and technical jargon involved can be tiresome at first. Despite the new terminology and statistics, learning the fundamentals doesn’t have to be dull or time-consuming. This guide is for the beginner, explaining the essentials in clear, concise language. If you are a business owner, you probably have more pressing things to do. This notwithstanding, these 5 concepts will introduce you to web analytics and provide a great foundation for tracking your website’s success as you grow online. Once you’re connected to a platform for tracking website statistics (like Google Analytics) you will begin collecting data. You will typically need a week or more of tracking metrics to learn anything substantive about your online presence. In the meantime, you can learn the basics of web analytics. Perhaps the most important nuance to this web analytics metric is “Unique Visitors”. While website traffic is a calculation of all inbound visitors, the number of unique visitors is the amount of new users who have spent time on your site. The difference between this figure and the total amount of website traffic is thus the number of returning visitors, or users who have been to your site more than once. While website traffic may be the most crucial web analytics concept, traffic sources provide critical context for understanding the value of your marketing efforts. In short, the website traffic source explains where your visitors are coming from on the Internet. If you can keep a finger on the pulse of this aspect of web analytics, you can see where your visitors are coming from. This is the first step to understanding what is successful online, and where you may need improvement. Bounce rate forms the bedrock of measuring the success of your website design, user interface, and incoming traffic. A “bounce” occurs on your website when a user visits your site, but then immediately leaves. The lower the bounce rate, the better. However, a bounce rate of zero is practically impossible, as some users are bound to visit by accident. Bounce rate is a critical figure in web analytics, as it provides great insight into the quality of your web presence. A high bounce rate can be an indicator of several issues. Perhaps the visitor didn’t find what they were looking for or expected in your website. Perhaps they didn’t like the interface or the site loaded too slowly. Analyzing traffic source and bounce rate in a web analytics platform can help you discern what may be the source of a high bounce rate. The “Top Pages” on your website indicate which individual pages are the most important or valuable to your audience. These are typically listed as the top 10 most visited pages in more web analytics platforms. It is important to note that this list can experience dramatic variation early on, so check back often. Once this list is established, your top pages can be used to understand where your traffic is visiting and spending time on your site. This can also tell you where to focus on improvement and which pages will be most impacted by changes to their design. Exit pages are related to bounce rate in web analytics, but don’t confuse the two. In fact, exit pages stand in direct contrast your bounce rate. A bounce occurs when a visitor immediately leaves your website, but your exit pages are calculated by traffic that visits multiple pages on your site before leaving. Exit pages are thus are a list of the top points of departure from your website. The last page your user visits before leaving can provide data and insight into potential issues with site design or content. Once your list of exit pages are determined, try to figure out why users are leaving from this location. That wasn’t so hard, was it!? If you would like any help with understanding web analytics, please leave a comment or contact us anytime. We Are a Google Partner!